The word hane refers to the wing of an airplane, and if you’re looking for a place that evokes a sense of air travel in the city, this is it. 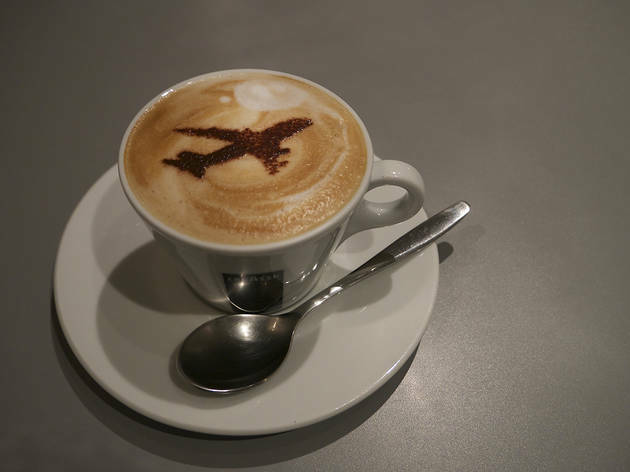 While exhibiting a vast collection of airplane-related memorabilia (such as model airplanes, picture postcards, stickers and flight timetables) that the owner has been steadily collecting since his school days, the café also retains a good sense of space. Furthermore, the concept behind the café’s interior design, which includes a sofa, white walls and wooden floors, is that of an airport lounge – there’s even the occasional airport or in-flight announcement mixed in with the background music. 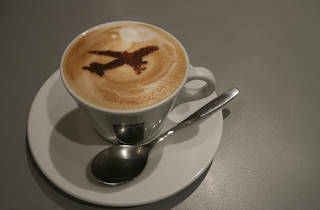 They also offer a particularly decent food and drink menu, including freshly ground coffee and airplane-themed lattes.